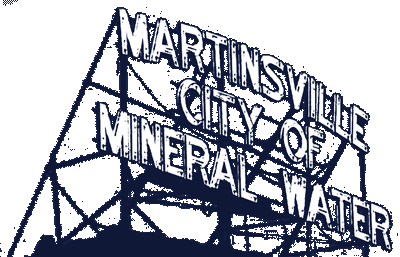 Mayor Shannon Kohl called the Martinsville Common Council to order on Monday, December 17, 2018. A moment of silence was observed for the Richard Hamilton family. Councilman Ben Merida led the Prayer to those in attendance. Mayor Kohl then led the attendees in the Pledge of Allegiance. A motion was made by Councilman Terry Buster to waive the reading of the minutes of December 3, 2018 and to accept the minutes as written. Councilman Kris Fuller seconded the motion. The Motion passes 4-0-2. Councilmen Bowlen and Keller abstained due to absence. Mayor Kohl reported work continues on the Lexis Nexus agreement. MTEK is now moved into the Rogers Building and finally, work continues of the City’s policies and procedures. City Engineer Josh Messmer reported he met with the Redevelopment Commission last week. The RDC will close on a bond on the 20th that will allow the City to replace the lift station on Mitchell Street. Discussion of Open Burning, Recreational Fires and Use of Grills – Fire Chief Terry Anderson opened the discussion of open burning, recreational fires and grills. Anderson explained his department is called out on runs that are a result of improper fires. He said some residents attempt to burn mattresses, yard waste and furniture. He asked the Council for input of ideas at a future meeting so the current Ordinance can be updated. False Fire Alarms – Fire Chief Terry Anderson distributed information regarding the false alarms his department has responded to. After a discussion by the Council, City Attorney Anne Cowgur offered to continue working on an ordinance draft to be presented at a future meeting. was unable to attend tonight’s meeting. 2018 General Obligation Bond Funds – Fire Chief Terry Anderson and Assistant Fire Chief Charlie Fraker appeared to explain to the Council their plans to spend their allocated portion of the 2018 GO Bond. It was explained the Fire Departments SCADA equipment is outdated and needs to be replaced. Their portion of the bond proceeds will leave them about $30,000.00 short for the apparatus. Anderson and Fraker requested surplus funding in their truck line be allowed to be used to make up the shortfall. A motion to accept and allow the spending was made by Councilman Eric Bowlen. Councilman Ben Merida seconded the motion. The Motion passes 6-0. 2019 Meeting Dates – Mayor Kohl asked the Council to change certain meeting dates in 2019. Those changes include the following dates: Tuesday, January 22, 2019; Monday, February 19, 2019 and Monday, September 9, 2019. A motion to accept and allow the changes was made Councilman Kris Fuller and seconded by Councilman Ben Merida. The Motion passes 6-0. Resolution 2018-551 / Committee Appointments – City Attorney Anne Cowgur explained that in light of what the City just went through in reorganizing the Park Board, it would be good practice to formally make the appointments by Resolution. A motion to accept and allow the resolution was made by Councilman Ben Merida. Councilman Kris Fuller seconded the motion. The Motion passes 6-0. A motion to accept the claims as reported was made by Councilman Terry Buster and seconded by Councilman Mike Lanam. The Motion passes 6-0. Public comments were heard from citizens Brian Collier and Cecelia Kreft. There being no further business, Councilman Terry Buster made a motion to adjourn. This was seconded by Councilman Kris Fuller. The Motion passes 6-0.